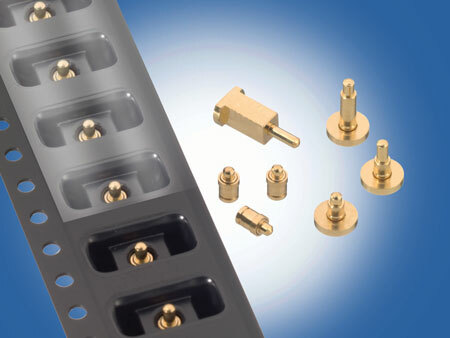 Mill-Max is pleased to announce the development of several new SMT Spring-Loaded Connectors (SLCs). All are offered as discrete contacts and many are available in tape and reel packaging. New Mill-Max part family 0910-0 and 0910-1 through -4 are discrete SLCs specifically designed for production tape and reel assembly. Part 0967 is a horizontal mount SMT SLC designed for low-profile board to board interconnections. For more information use the links to the right for additional product details, to order a sample, to find related products, or contact Mill-Max Technical Services for custom design options.